Information & eGovernment Authority (iGA) Chief Executive Mr. Mohamed Ali AlQaed stated that Bahrain’s government is progressing towards transformation of digital economy in light of the witnessed technological evolution. He further stressed that the economic digitization will largely contribute in implementing the SDGs and the Government Action Plan which supports innovation and creativity in providing services. 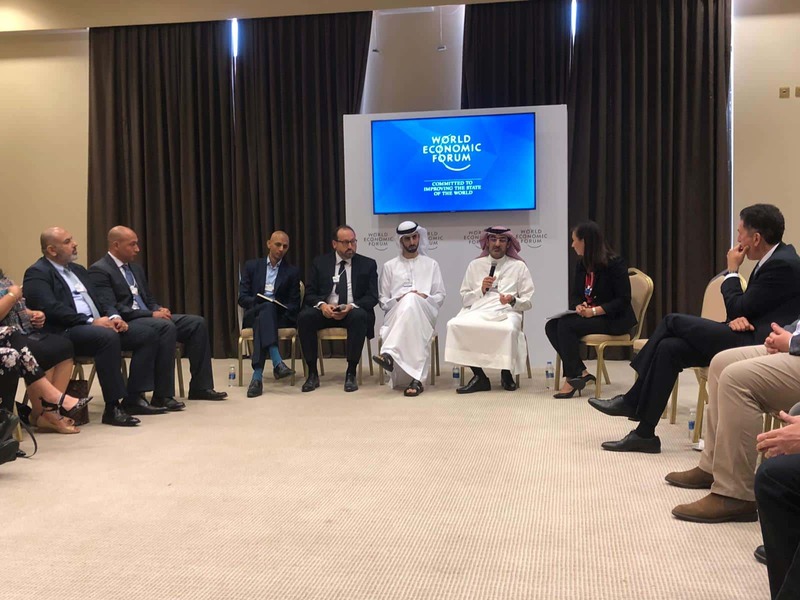 AlQaed took part in a Private Discussion Plenary Session, part of the Forum’s programs, where he addressed opportunities and mechanisms for Middle East and North Africa region to lead the way in harnessing the new opportunities presented by cross-border data flows. During his discussion, AlQaed addressed the opportunities of the digital economic transformation in Bahrain in linking international markets and their contributions in the growth of production by creating an appropriate environment for innovation, simplifying and reducing required steps to complete transactions. He also stressed the importance of laws and legislations to advance and strengthen the ICT infrastructure by presenting to the audience key laws in the Kingdom in the fields of Electronic Correspondences and Transactions law, Protection of Personal Information law, Cloud Computing law project along with others which led to the fruitful result of the Reform Project of His Majesty King Hamad bin Isa Al Khalifa. The Chief Executive clarified that Bahrain is one of the pioneering countries in the region to follow comprehensiveness in its policies especially those related to innovation in order to raise government work performance and customer satisfaction levels of citizens and residents in line with specific timeframes and technical criteria. He highlighted that the ‘First Cloud Policy’ was adopted by the government sector and worked on opening doors to high salary employments for both the public and private sectors. Owing to joint exerted efforts, more than 1,000 government workloads were successfully migrated to the Cloud which is considered as an impressive leap in the field of adopting the latest technologies. The Plenary private session AlQaed had joint was accompanied by United Arab Emirates’ Minister of Artificial Intelligence His Excellency Omar bin Sultan AlOlama, Corporate Officer for Ericsson’s Function Technology Group Mr. Mikael Bäck, Director of Public Policy of MENA Region for Amazon Web Services Mr. Rishi Saha, together with United Arab Emirates’ Majid AlFuttaim Company Chief Executive Officer Mr. Alain Bejjani. Over 1,000 senior officials attended the Forum including presidents and officials from the business and NGO sectors from more than 50 countries. Under the theme Building New Platforms of Cooperation, the Forum highlighted four key transformational imperatives/ topics encompassing ‘Shaping a New Economic and Social Model for the Region’, ‘Environmental Stewardship in the Arab World’, ‘Finding Common Ground in a Multi-Conceptual World’ together with the ‘Fourth Industrial Revolution in the Arab World’.